Amazing sunsets, mountain top views & the quiet side of the building! This 820+ sqft, 2 bed/2 bath open layout unit is located in the desirable concrete tower of Brentwood Gate in the heart of Burnaby North. Shows extremely well, offersfine finishing, privacy & all the upgrades. A must see. Features: SS apps, gas stove w/microwave hood fan, granite counters, oversized eathing bar, laminate/tile floors, fireplace, plenty of storage & good room separation. 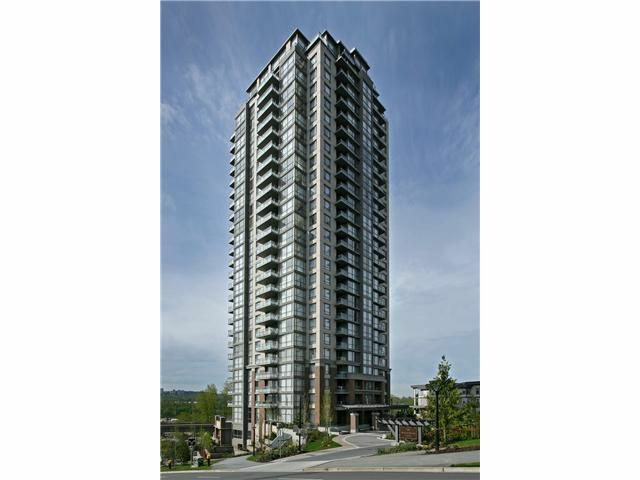 The large master w/walk-in & 4 pce ensuite, well sized 2nd bed & spacious balcony complete this unit. Benefit from excellent facilities, hot tub, ample bike storage, 2-5-10 yr warranty & 1 prk & locker. Close to: shopping, rec, transit & Skytrain.